Following our TriFloat launch, we caught up with one of our Process Engineers, Hannah Peacocke, to get an update on how the system is operating. 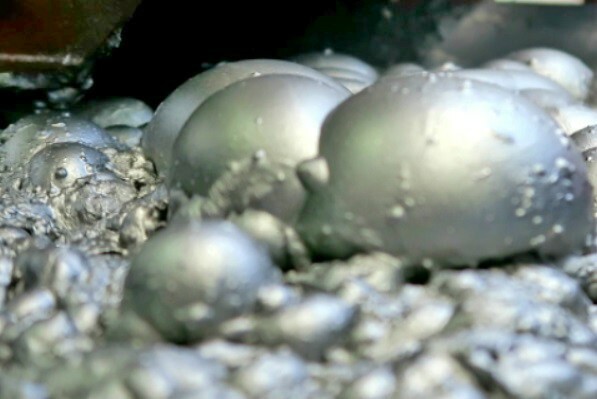 Laboratory results upon an African medium flake graphite ore produce a very high grade coarse graphite concentrate, demonstrating the capability of the APT TriFloat system. “Bench and pilot scale flotation produced a flotation concentrate of over 90%C upon a feed of -2mm”, said Peacocke. The concentrate was then de-gritted in a proprietary APT process, and upgraded further to 93.6%. The flake produced was far coarser than obtained in a conventional float, even upon this marginal ore, with 38% reporting to the +300 micron fraction. With a recovery of this up front coarse-scalping process of over 73%, the lab pilot test validated the efficacy of the procedure. “The goal was to preserve as much of the coarse flake graphite as possible, and that was achieved. If necessary, further grinding and flotation upon the initial coarse tailings to increase the recovery may be carried out”, said Peacocke. The entire APT TriFloat procedure can be utilized in an initial project start-up phase to commence production with the highest quality concentrate right out of the gate. Added advantages of modest capital and short lead times make the APT Graphite plant a serious contender in the current market. We decided to have some fun and film a quick sample run for you! You can view it by clicking the video above! Older PostEQUIPMENT FOR START UP MINERS: What is APT's GroundBreaker Division?